One sunny day in the summer of 1985, I was walking on the beach with a friend when he asked me, "If you could do anything you wanted in the world, what would you like to do with your life?" Before I even had a chance to think about it, I replied, "Work with street people." As soon as the words came out of my mouth, I said to my friend, "I have no idea in the world where that came from!" I grew up in a middle class home in a farming community in rural Prince Edward Island and had been pastoring Churches for ten years and had no contact at any time during this period with street people. As I searched my heart I came to realize that this was exactly what I wanted to do. Approximately two weeks later I got a telephone call from a friend in Vancouver who told me about a ministry with street people that was to open in Surrey and that they were looking for a director and she had recommended me for the job. An interview soon followed and I was hired. I would be less than honest if I did not say how difficult those first few months were. Over the next five years the ministry grew to where we were serving over one hundred street people a day. The stories I would hear every day nearly broke my heart. I remember a sweet little eight year-old red headed girl whose mother biker boyfriend sexually abused her on a regular basis. I went to her house with two social workers, but her mother called her a liar and denied everything. We found two ten year-old boys sleeping in cardboard boxes over the centre's roof so they could be close when the centre opened in the morning. And then there was a first nation's boy who came into my office; he pulled off his shirt and showed me his upper body that was completely covered in knife scars. He said that all his life that when his parents would get drunk they would cut him. He rarely talked and it took a lot of courage for him to tell me this. One day I was playing pool with a fifteen year-old boy who asked if he could call me Dad because he had never met his father. When I said yes, several others in the centre asked me if they could call me Dad as well (some of them were older than me). Soon the whole centre called me Dad. I wanted to adopt every one of these precious people who had lived such sad, horrendous lives. One cold winter's night I brought home a group of over twenty of them to my apartment so they wouldn't have to sleep under the bridge in the freezing cold. When one of the directors came while we were all eating a hot meal to ask if we weren't enabling these people by providing a warm place for them to hang out and a hot meal every day, his question hit me like a ton of bricks. I went in early the next morning and got on my knees and prayed, asking God if this was the case. I remember hearing a small still voice saying, "You do the loving and leave the judging to me." I broke down in tears and thought, if only I had known this and practiced it all the years before that I was in ministry. That message from God changed my life forever. In 2008, the Metro Vancouver Dream Centre Society was formed with the motto "Ending Homelessness One Person at a Time!" I was pastoring a Church, now called Lighthouse of Hope Christian Fellowship, in the heart of Vancouver's West End, close to Stanley Park. I learned there were an estimated two thousand homeless people living in the park during warmer months. These were mainly people who had lost their way in life, which included their I.D., which also meant they couldn't draw social assistant and depended on the kindness of strangers to survive. Many of their possessions were kept in shopping carts. Through a series of events we started a Food Bank where we gave out over five thousand dollars worth of perishable and non-perishable foods every Sunday evening after our service. This grew where we put on a delicious nutritious buffet for up to three hundred people every Sunday. Eventually we opened a clothing bank called "The King's Closet." I knew we were making a difference.One Sunday evening after our church service, a young twenty-three year-old man asked if he could speak with me. He opened his backpack and showed me a noose he had spent most of the day making so he could hang himself. As he was preparing it, he cried out to God and said, "If you are real please send me someone to help me." He vowed to God that if he didn''''t receive help, he was going to kill himself that night. He said he heard a voice directing him to our church. That night he committed his life to God and became one of our most faithful volunteers until he moved to another province. Another young man in his early thirties came to Bible study one night to thank us for what we had done for him. He shared his story, how he had been a successful engineer with a beautiful girlfriend, penthouse condo in the West End, new sports car and everything this world had to offer. He started experiencing with drugs and soon lost everything and found himself living in the park. Someone told him that he could receive help at Lighthouse of Hope Church and he came, listened to the Gospel Message, received hope, called his parents in Ontario and begged them to allow him to return home to get help for his addiction and one year later he showed up at Bible Study. He had both his job and girlfriend back. This outreach continued for three years until we received notice that the Church we leased on Sunday evening for over twenty years was been demolished to make way for a high-rise apartment building. We then partnered with St. Michael's Anglican Church, which had a large gymnasium. There, we alternate with St. Michael's preapare a buffet dinner on Friday evenings. We also help supplement their food bank. Every Thanksgiving we serve a full-course, sit-down turkey dinner with all the trimmings for up to four hundred people. Our one hundred volunteers treat each of our special guests as if they were in a five star restaurant. Our guests include those in shelters, people living with HIV/AIDS and those who just need a hot meal and some tender love and care. We also give a gift bag to each guest filled with toiletries, fruit and candy. We have been told by many of our guests that this Thanksgiving meal is the highlight of the year for them. A little over a year ago through a series of events we opened the Saige Community Food Bank on the Downtown East Side (DTES) for the transgender community. We learned that they were often refused at regular food banks because their I.D. picture didn't agree with the way they presented themselves and they would be refused food. Many of them struggle at best to even find work so help is needed. This venture has been extremely successful and we serve up to one hundred people (not all transgender) every second Monday. Someone with a servant's heart has stepped up and prepares a hot meal for those in the line up each week. Last week pork chops and rice was served. Our goals for this year include securing office space and a commercial kitchen, complete with walk-in freezers and coolers, so we can supply even more missions and out-reaches to street people all over metro-Vancouver. When we have a space we also want to start Christian based AA and NA programs. We have this in order and we are ready to start. Two years ago we commissioned Otto von Bischoffshausen as our Community Outreach Worker to the DTES. He and his team have reached out to people in the streets and alleys with a message of hope and help as well as reaching out to the many different organizations operating there. They talk to the people on the street, share with them, encourage them and refer them to organizations that will help them. They also organize a bi-monthly community food bank for agencies in the downtown area to supply them with produce for distribution and for the cooked meals they prepare. Otto also liaisons with many of the different agencies and missions in the DTES. We are very thrilled with the work Otto and his team have done for the past two years. 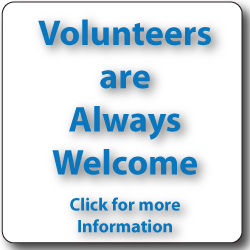 We are always looking for more volunteers to help. That is the thing we are most short of: volunteers. Please let us know if you would be willing to help at our Friday dinners or our Saige Community Food Bank or if you would be willing to help Otto and his team on the downtown east side. We also need those who will contribute financially to this very important ministry either on a one-time basis or a monthly commitment. Our vision is to have a location and support for those struggling with addictions. I can't even begin to tell you how important this is.